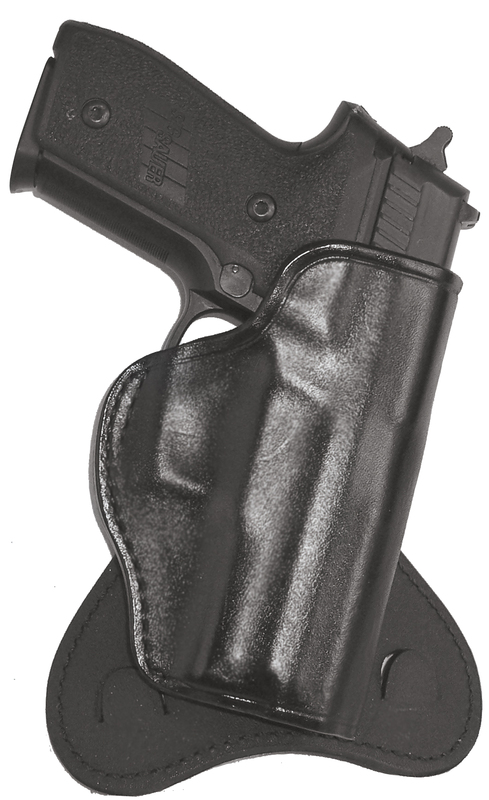 H720 O.T.-PADDLE HOLSTER [H720 O.T.] - $86.30 : Don Hume Leathergoods, Simply the Best! he H721 O.T. paddle holster features a 2 in 1 carry options. It can be worn as a paddle holster or as a high ride belt slide. The open top design allows for an instant shooters grip. the H720 O.T. has a contoured suede covered Kydex reinforced paddle with two barbs spaced 3" apart to hold the paddle in place when drawing the gun. The paddle makes it possible to put on and take off without removing your belt. I have had this bout a year. The plastic part of the paddle broke. I liked it real well but would think you would get more than a year of daily use out of it. Ammend the about review, They sent me a new paddle in THREE days. Great job people of Don Hume leathergoods!